Michigan’s Superintendent Mike Flanagan has a grounded perspective on Michigan’s dropout crisis. His own story of struggling in school lends to his understanding of the issues of dropouts. He understands dropping out is not just a Detroit problem; this is an issue that affects our state and our country. About 74 percent of Michigan students are making to graduation on time. To get schools closer to 100 percent, Flanagan has issued a challenge to Michigan schools. 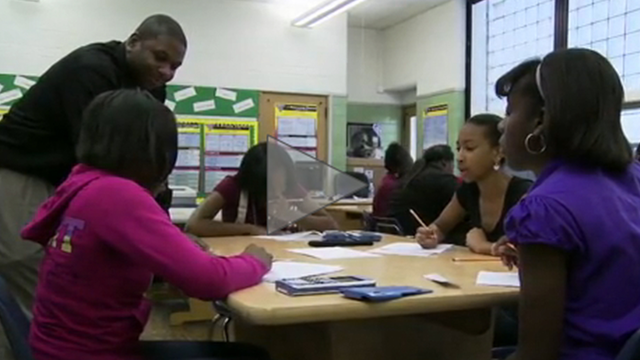 The Superintendent’s Dropout Challenge reaches out to students before they dropout. The program identifies students, who are nearing or in a transitioning year with multiple dropout risk factors and provide research-based intervention techniques to keep them on the path to graduation. 1,300 schools from Traverse City to Wayne have accepted the challenge.